PHILADELPHIA – A multi-agency examination of imported shipping containers at the Philadelphia seaport netted 1,185 pounds of cocaine Tuesday. This multi-agency team was led by U.S. Customs and Border Protection (CBP) and Homeland Security Investigations (HSI), and consisted of partner agencies Homeland Security Joint Task Force-East, U.S. Coast Guard, Coast Guard Investigative Service, Philadelphia Police Department, Delaware State Police, Pennsylvania State Police, Nether Providence Police Department, the Office of the Attorney General Bureau of Narcotics Investigation, and the DEA’s Philadelphia Division. Inside one of the containers offloaded from the MSC Desiree, authorities discovered 13 large black duffel bags containing a combined 450 bricks of a white powdery substance. A sampling of that substance tested positive for cocaine. The cocaine weighed 537.6 kilograms, or 1,185 pounds, three ounces, and has a street value approximately $38 million. CBP officers seized the cocaine. HSI is investigating. 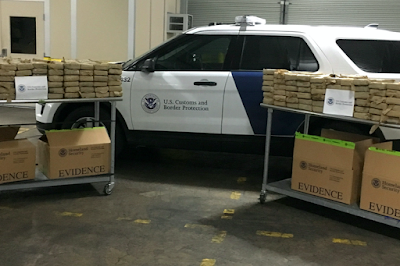 This is CBP’s fourth largest cocaine seizure in the Area Port of Philadelphia, and the largest since a 1,945-pound cocaine seizure May 23, 1998. The shipping container commodity was natural rubber, which was laden in Guatemala. CBP officers screen international travelers and cargo and search for illicit narcotics, unreported currency, weapons, counterfeit consumer goods, prohibited agriculture, and other illicit products that could potentially harm the American public, U.S. businesses, and our nation’s safety and economic vitality. 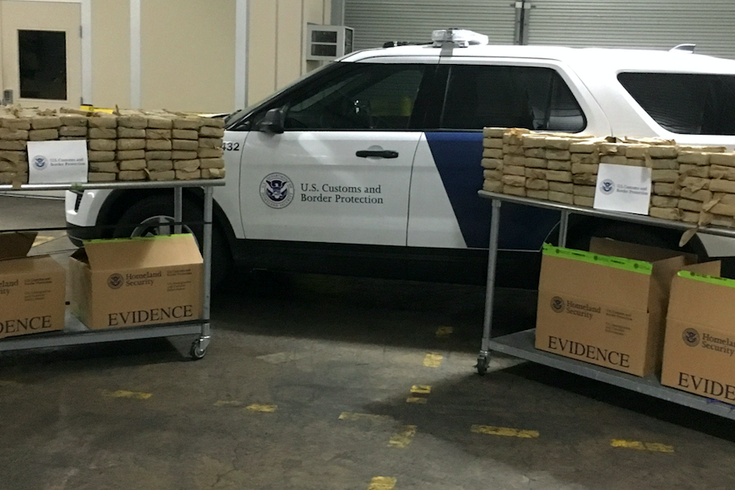 On average, CBP seized 4,657 pounds of narcotics every day across the United States.